By LUDWIG VON KOOPA - How do you define casual? In a discussion about Shulk in the Super Smash Bros. series today in the KoopaTV private Discord server, RawkHawk2010 asked me if Shulk's Monado Arts selection buff would increase his tier list position for Super Smash Bros. Ultimate. I said no, pros tend to mainly use Jump and Speed Monado Arts, and Shulk professionals are already very good about quickly button-mashing to the art they need. Then Rawk, feeling defeated about the prospect of Shulk rising in the competitive tier list, asked me if there is a tier list for casuals. I answered a flat “no”. 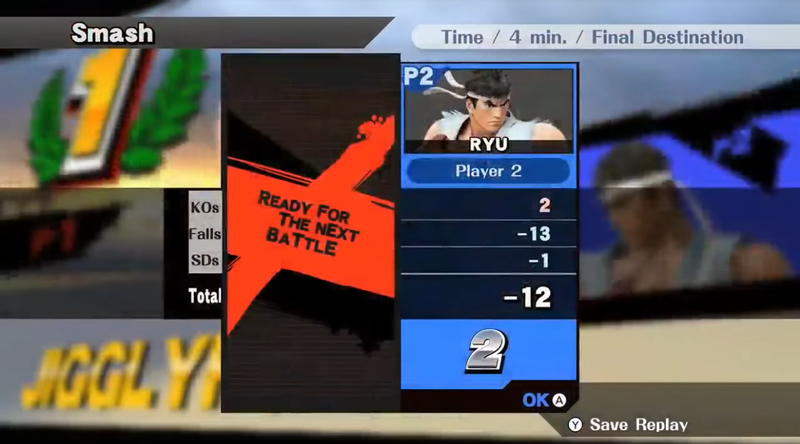 I remember Nintendo of America president Reggie Fils-Aime's pathetic performance versus Hungrybox in the Nintendo World Championships 2015 — Reggie literally didn't know how to use the jump button. Reggie lost this many stocks in only four minutes, and Hungrybox wasn't exactly trying. Should the casual tier list be based on players like Reggie? The reason that a competitive tier list works is because it assumes the player is using the character to their maximum capability, essentially taking player skill out as a factor. It's rating characters at their peak known performance. (Players can always discover new things about a character and the metagame can change, and then a new tier list can be made.) It assumes a consistent, tournament-style ruleset. Consistent items (none), a certain selection of stages, number of stocks and so on. A casual tier list, on the other hand, would be rating characters at their... minimum capacity, where it becomes much less about an individual character and more about basic gameplay fundamentals, which is a function of the player, not the character. Obviously, some characters are more newbie-friendly than others (Meta Knight in Super Smash Bros. Brawl is easier to use for a beginner than, say, the Ice Climbers). Would a casual tier list measure that? If you assume a casual player has basic competence, what does that mean? They know how to play, yeah, but how aware are they of how they're spacing their attacks? Do they play safely? Do they try to condition their opponent? Are they predictable? If we're talking about casuals, what is the ruleset being used? 1v1 For Glory? Free-for-all with Items on High? Are we measuring how good the Final Smashes are? Is it even a stock match? Hopefully, you get the point. A real, competitive tier list assumes consistency. You can grade that. You can't grade an inconsistent mess that a casual tier list would have. As for Shulk specifically, can we even assume a casual Shulk player would use his Monado Arts? Believe me, I've encountered Shulk players that don't use them at all. Some casual Shulk players do nothing but Back Slash and Vision... sometimes off the stage. And then they keep doing it, not thinking that they could be using much safer moves. ...Sadly, they'd probably still beat Reggie Fils-Aime in a fight of Super Smash Bros.
Yeah, trying to make a casual tier list misses the point of a tier list, I agree there. Also, random mention of Reggie Fils-Aime is random? I used Reggie as an example of a casual player. A competitive tier list uses a competitive player at the top of their character's metagame. Would a casual tier list use... a metagame with Reggie-esque skillsets? Is that the target? "Casual" is a much, much broader range of skills than "top competitive". He's the President and Chief Operating Officer of Nintendo of America.